2. Deposit should be received before production, and balance to be paid before delivery. 2.Shipment cost will depend on the destination, shipment way and the weight of the goods. 3.Shipment advice will be sent to you after shipment arranged within 24 hours. 2) Any problem, requirement and suggestion, please contact us freely, we'd be very pleased to be at your side. Q. We are the direct factory,we are insistiong on making imitation jewelry,as well as designing by ourselves. Q. We apologize but the prices on the website are subject to change without notice. Just tell us your ideas or send us ur CAD picture and we will help to carry out your ideas into perfect jewelry set. Q:How long can I expect to get the sample9 A:After you pay the sample charge and send us confirmed files, the samples will be ready for delivery in 3-7 days. Q:What about the lead time for mass production9 A:Honestly, it depends on the order quantity and the season you place the order. Minimum Requirement per design and per order for Wholesalers apply. We accept OEM and customised orders for Brands, Wholesalers and Designers. We regularly study and research for the upcoming trends in Jewelry designs and launch designs as per the latest upcoming trends. 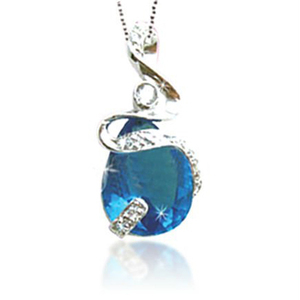 2 YRS Guangzhou Arts Jewellery Co., Ltd.
Q9. What is the minimum quantity for each order9 A: Normally 100pcs,but we also support a small quantity if you can accept a higher price. Q10. 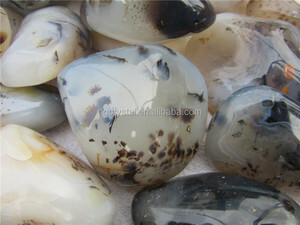 What is the production time 9 A: Normally it is 10-35days,depending on the order quantity and complexity of making. Q11. 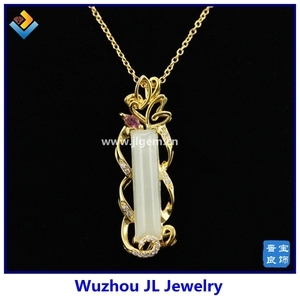 What&rsquo;s the packaging of your Jewelry Items9 A: Normally we use the OPP bag,bubble bag and paper box to pack the goods. Fashion Jewelry Palm Leaf Pendant With Prong Set And Yellow CZ Stone Item name 925 Sterling Silver Palm Leaf Pendant Material 925 sterling silver as well as copper/ brass matrerial, Nickle & Lead Free Plating color Silver,Rhodium,Gold,Rose gold,Black gold,metal gun MOQ 1&gt;Sample order:One piece for each model 2&gt;Usual order:50pcs for silver model,100pcs for brass model Delievery time 1&gt;Sample order:5-7days after confirm the order and payment 2&gt;Usual order:25-30days after confirm the order and the deposit Payment terms Payment by T/T or Western Union 1&gt;For sample order:100% payment before production 2&gt;Usual order:25-30days after confirm the order and the deposit Testing Lead,cadmium&nickel free SGS Accept Export experience 15 Years Related Products Packaging & Shipping Rita Fei Tel: 0086-139 2291 7992 Skype: ever888521 WhatsApp: +0086 13922917992 Web: Address:Shangsheng Road,Shangjin Industrial Park,Xin'an District,Chang'an Town ,Dongguan,Guangdong,China Thank you for your visiting! 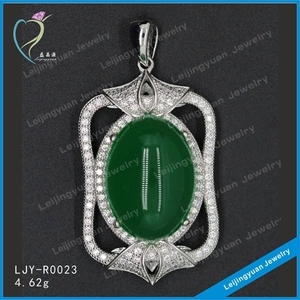 Crystal Pendant Our product is mainly compossed of solid 925 sterling silver , free of lead and nickel . 5. Our products are 100% 925 sterling silver and they are reliable quality. Question 2:Do you accept the paypal9 Answer: Yes , we accept paypal ,but the paypal with 4% charge. 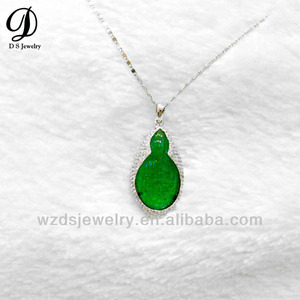 Alibaba.com offers 337 fashion sterling silver jade pendant products. About 46% of these are silver jewelry, 42% are pendants & charms, and 35% are necklaces. 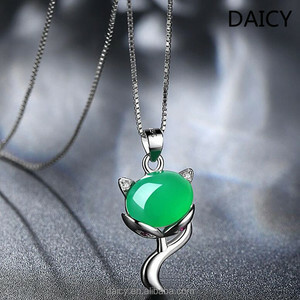 A wide variety of fashion sterling silver jade pendant options are available to you, such as free samples, paid samples. 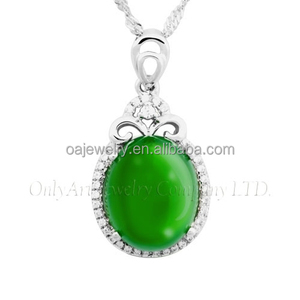 There are 337 fashion sterling silver jade pendant suppliers, mainly located in Asia. 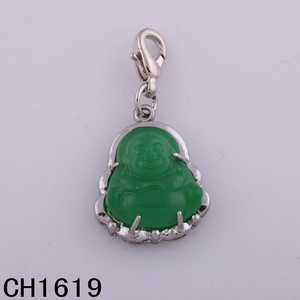 The top supplying country is China (Mainland), which supply 100% of fashion sterling silver jade pendant respectively. 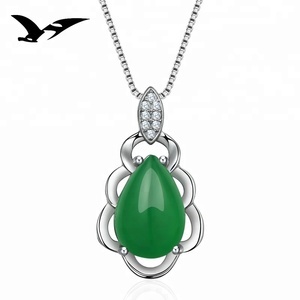 Fashion sterling silver jade pendant products are most popular in North America, Western Europe, and Northern Europe. You can ensure product safety by selecting from certified suppliers, including 83 with Other, 9 with ISO9001, and 5 with BSCI certification.